Want to be notified of new releases in erwincoumans/RC-Receiver-Interface? Pull request Compare This branch is 7 commits ahead of barafael:master. 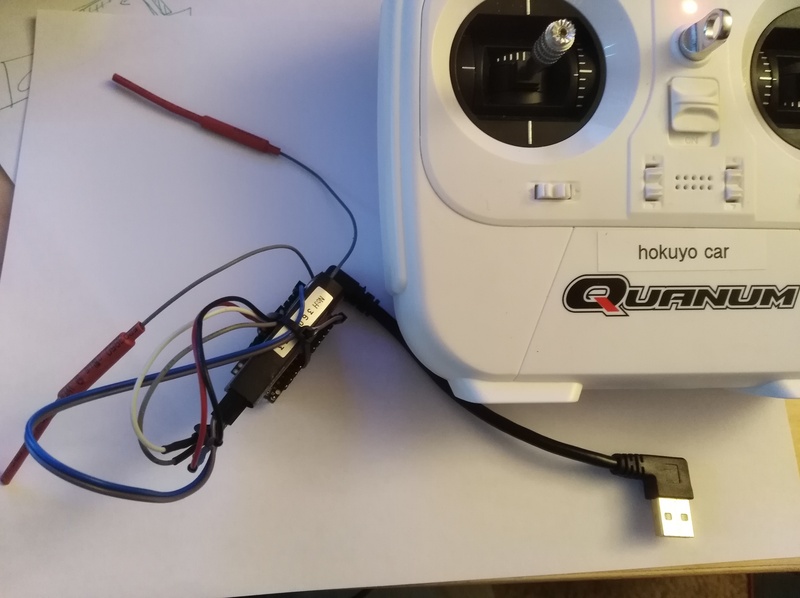 This library provides a Receiver object from which you can read the input from an RC receiver. There are many sketches around the internet which achieve the same result, but some of them use blocking functions (i.e. pulseIn()) or are just long C files. This library provides an object-oriented receiver interface. As input, PWM and CPPM signals are supported. For the latter, only one pin is needed, but it uses the teensy-specific PulsePosition library. This library works fine on the Teensy 3.2 and Teensy LC. Please let me know if you got it working on a different board and feel free to open a PR. The Arduino Uno is NOT supported for reading 4 channels because it only has 2 pins that can handle interrupts. You can easily adapt the library to just use 2 channels. Please ensure that the pins you give the Receiver constructor are interrupt-capable. On the Teensy 3.2, all digital pins can be used. If your program disables interrupts for long stretches of time, then you will probably notice inaccuracies from this library, since it relies on interrupts for detecting receiver signals. 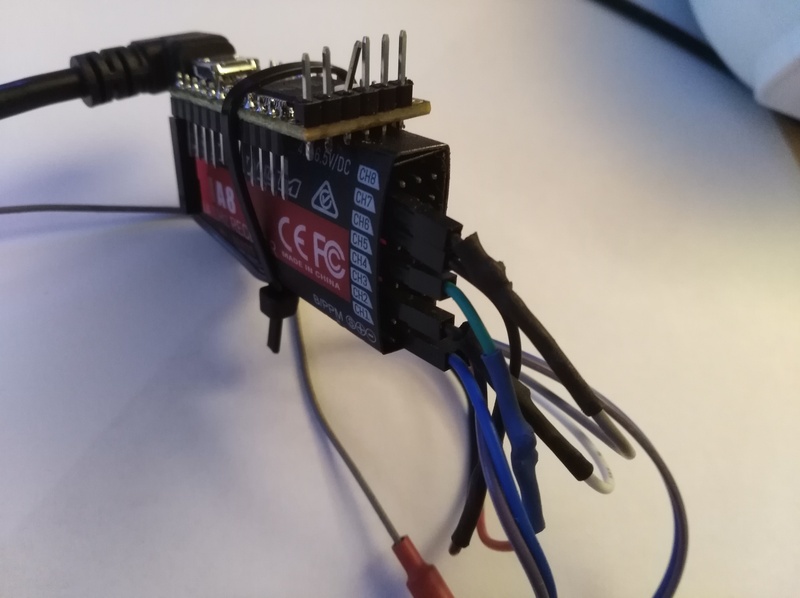 The example sketch RC-Receiver-Interface.ino sets up the receiver such that you can connect your receiver to pins 19, 20, 21, 22. Channel order is throttle, aileron, elevator, rudder.